One frequently overlooked aspect of marketing is the concept of the loyalty program. There are many different types of loyalty programs but I think the most important aspect is all about generating repeat business. This is essential if you want to win in 2012. As I was thinking about the new year, and all of the businesses (large and small) that I've helped over the past number years - I couldn't help but think about those businesses that do such a fabulous job of getting people to use their services products again and again. Let's take a look at a local hotel that just opened it's doors a couple of years ago near my home. This hotel is part of a chain and is in an ideal location for out of town guests. As my family plans events we consider and use this hotel for relatives on a pretty regular basis. This hotel is not the only game in town but they do a decent job at a reasonable price and the location is convenient. There are really two separate audiences this hotel is catering to. The first audience is comprised of people like me who are using the hotel to solve a problem. My issue is simple - relatives are coming and we need the space. There aren't a whole lot of options to solving this problem and the hotel is in tune with my needs. The second audience is the guest themselves. Not only must the hotel recognize my needs as a consumer, but they must ensure that the guest who stays at the hotel has everything they need to guarantee a pleasant stay. Now you might be saying that the first audience is more important to the hotel. And I would agree that your biggest customers - those who purchase often - are definitely important. I'd also like to suggest that the second audience, the guest, is equally important because by delivering exceptional service there are many additional benefits to be gained. Businesses will win or lose based on word-of-mouth marketing. Whether it's social media or face to face interactions, we like to talk about our experiences. In this example, the guest, is going to have an experience at the hotel. If it's okay, they'll move on and probably won't even remember the name of the hotel. If the experience is good, they may call me at some point in the future and say, "What was the name of that hotel we stayed at when we came to visit?" If the experience was exceptional, they'll not only remember the name of the hotel but recommend it to others and/or select it as their first choice each time they come to visit. As you can see, getting new customers is only half the battle. Once you have a customer, it's important to exceed expectations. This is the best way to grow your business. That is, unless you have millions to send on advertising. Even so, if you want to make the most of your marketing dollars, you must focus on creating an amazing experience to build referrals and repeat business. The businesses, large and small, who do this on a consistent basis are winning, and winning big. This is why I frequent the stores I do and I'm sure it's a large reason why you keep going back to many of the same retailers, websites, or other businesses that you interact with on a daily basis. Sometimes your purchases are driven out of convenience but I would suggest that your repeat purchases are based on a positive user experience. As a market researcher, I love the concept word-of-mouth marketing. But I doubt whether many business will win or lose based on just that. It is only relevant for those products that are been purchased frequently. A hotel maybe the exception. Just look at all the stuff inside your house, and then decide how much you bought base on reference? All the furniture and even the house itself is in most cases bought without any reference. Marketeers tend to create relationships, even communities if they get the chance. The fact is that a large part of the economy is simply transaction based. And most consumers want to keep it that way. Thank you so much for your understanding and I think this is a useful article promises to us. Those who work in the marketing industry. Great post! This is just what we like to remind all of our clients and we've tailored many marketing campaigns for exactly the "repeat customer" audience. I can't agree more - simply put - Customer Service is EVERYTHING!! There there are exceptions, such as Walmart, where the customer service is horrible, but the price is something you just can't pass up. Sadly, it seems there is an 'Us vs. Them' attitude with today's workers and the customer is rarely as important as we should be. ... i hope this post finds itself sitting in front of the right person somewhere and can make change happen at least in ONE company... hopefully that philosophy gets passed around and begins to spread. Very true. I must say Michael,you put your views forward in a simpler yet effective manner. As an author and businessman, I affirm that word-of-mouth is the best strategy to help a business grow and increase the customer base. Winning customer trust is winning in your business. I think it's a great achievement!! Michael, great blog that showcases the simplistic but important word of mouth strategy for any business. You must attract them and keep them coming back for more by providing them with "value." The concept of under promising and over delivering is definitely under utilized in most businesses. If more businesses took this approach they would have repeat costumers and then some. Customer Service secondly it goes on the products they market, affordability and quality. We all know how important marketing for a business.For that all you have to do is collect new experiences like this. Great blog entry. We're always telling our customers that the easiest sell is to existing customers through cross-sell, up-sell and resell. However, none of this matters if your customer service isn't up to scratch! I completely agree with the idea of repeat business. 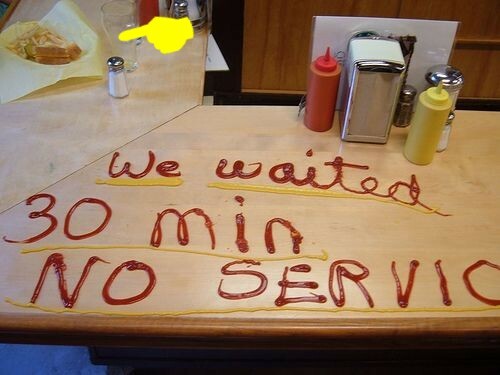 As an owner of a small restaurant, I can tell you that my entire business is built on quality customer service. Most, if not all of my customers are regulars. I will see customers, later their family, later their friends, and then their friends...No matter how big your marketing budget is, the success of a business comes down to the reputation. Personally I am quite attached to QoS (I think, it is a minimum when you trade something), when I go to a place or buy a product of quality and is satisfied with it, I never hesitate to make advertisement for the service provider. Great post!! The customer service should be everything..
Nice platfrom to share, Yes when we talk about services, we use a term megical customer care/services. It's only possible when you attract new customers with amazing offers seconndly you'll be automatically remeberd by old customers by giving some thing different and pleasent to remeber about you or your product which will help product in Word of mouth concept too. You provide some really great insight here. Word of mouth marketing is a great way to spread the word about a business. As you have mentioned however, a business is going to slip up sometimes. More and more people today are looking to the internet as their leading source of information. Businesses must learn to utilize those platforms as well to get their names out there, with the alternative of being left behind. If the hotel did slip up for example, a person who does not have a first hand source, will turn to the internet and look up reviews. This is where the business might want to correct any un-happy customers. Thanks for posting this! Word of mouth marketing is very important for business. However, this should be a small part of a marketing plan. You should do a SWOT analysis and consider the marketing mix carefully always. Nice blog....Its a very usefull article for the people invoved in the marketing industry.This article can get them to pinnacle of success. I like this post. I visited your blog for the first time and just been your fan. Keep posting as I am gonna come to read it everyday!! 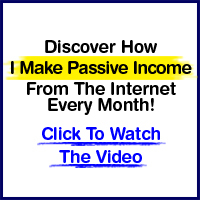 As i read it i can say that this marketing strategy is really effective and i wanna try it. Easy to read, interesting and easy to understand. What more do you want from a topic-specific article? Thanks for sharing!